Sorry for the interruption when some of you tried to leave a comment in my blog. I have just found the solution and rectify the problem by changing the comment setting to "pop up window" rather than "embedded below page". I hope you have no problem to leave me a comment from now, Thank you for you time. 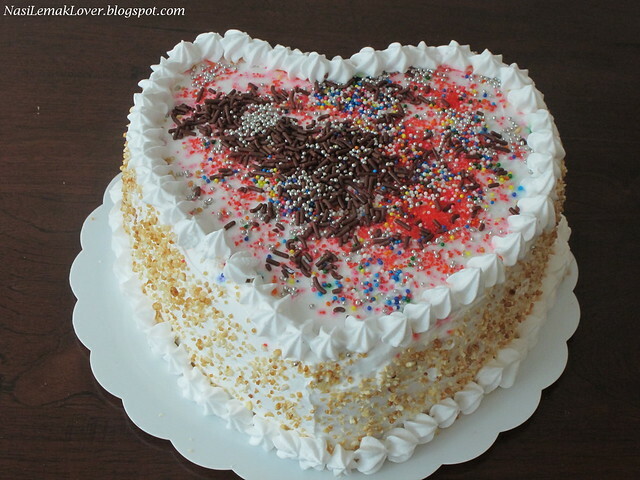 Ya, back to this post, I just done this cake which i have bookmakred long ago and only have a chance to do it today. 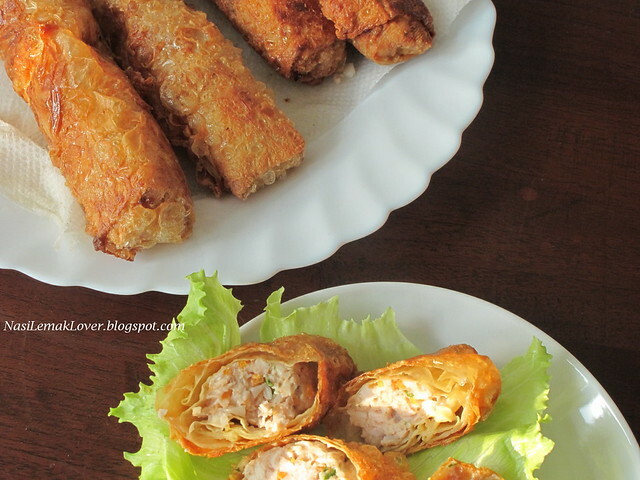 Another humble homecook dish from my kitchen, Hokkian style of Ngoh Hiang 五香 which the ground pork seasoned with five spice powder and snugly wrapped in dried beancurd skins and deep fry it. This time I changed to chicken meat and it still taste good. 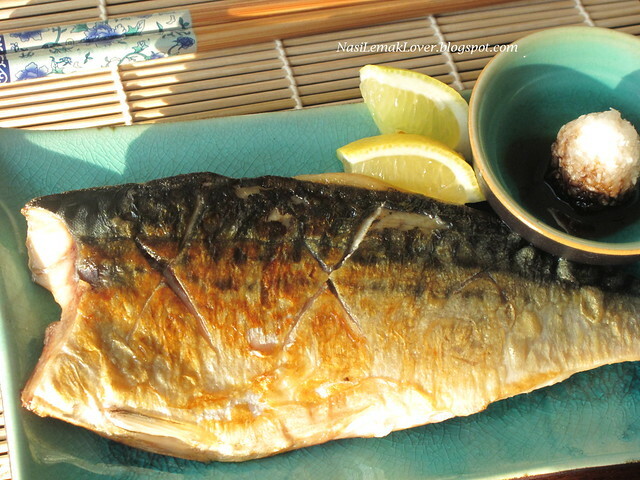 I like to order grilled Saba/mackerel when we take dinner at Sumi-ka Japanese restaurant which they serve very good charcoal grilled yakitori. 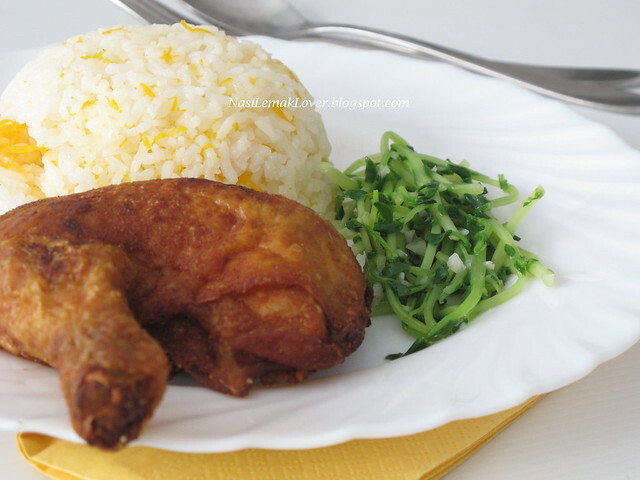 As usual, when my family love something, i will try to imitate and cook it at home. My kids not only like to eat Spaghetti with meat sauce, they also like to top up with a lot of mozzarella cheese and bake the spaghetti. 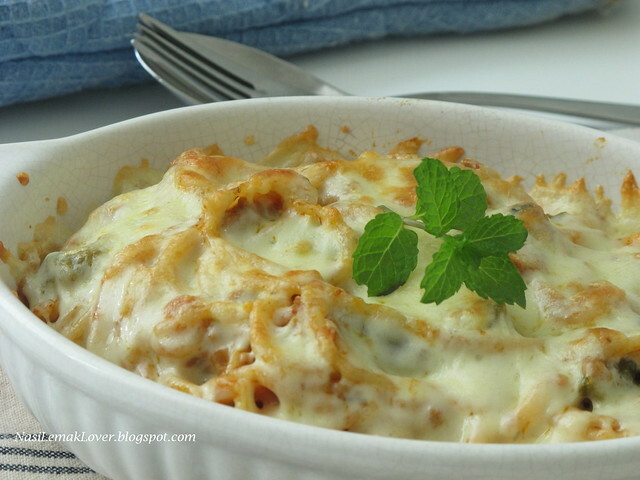 So this is the baked spaghetti with meat sauce that i usually prepare for them for a quick and simple lunch. Nowadays, before my kids birthday, I will check with them what type of cake they want, no more buying from outside bakery shop. My little son Desmond requested a chocolate cake this time, a lot of cream and decorate with a lot of chocolate rice and colourful beads ( with a condition, he is the one who will decorate this !!). I noticed all earlier comments left in lady fingers /savoiardi biscuits are gone missing, i guess due to blogger system broke down yesterday. But don't worry, I had read all your lovely comments. 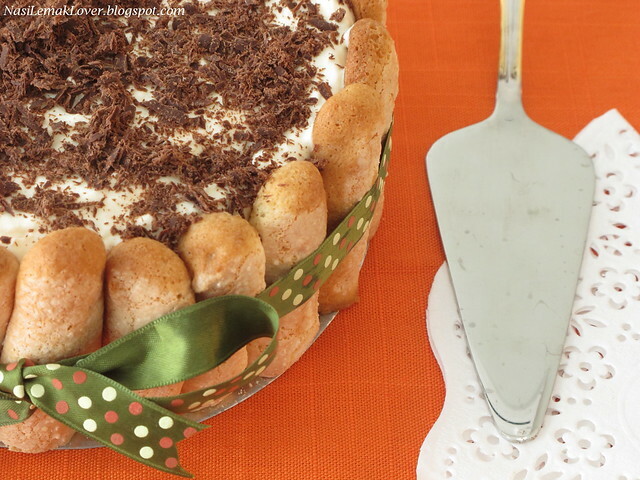 Yesterday i just done this Tiramisu using homemade lady fingers/savoiardi biscuits. 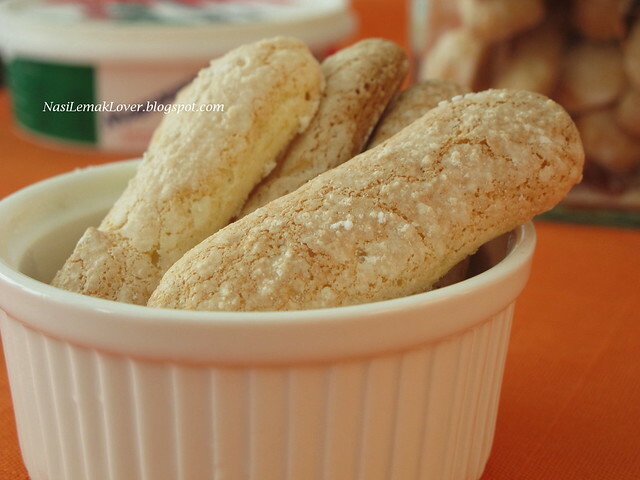 This morning, I have been busy making this lady fingers/savoiardi biscuits. Yesterday I was run out of idea what to cook for dinner, checked inside kitchen cabinet and saw 1 can of baked bean and 1 can of luncheon meat. 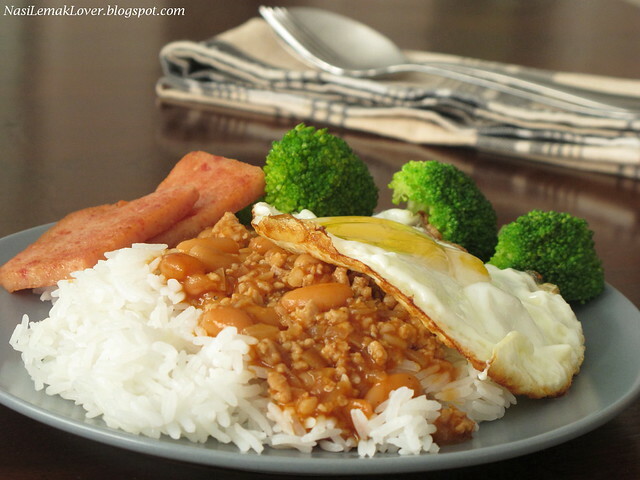 "Ting" i recall a recipe in Pig Pig's corner's and this recipe is her all time favourite, minced meat & baked bean with rice, and a sunny side up egg. 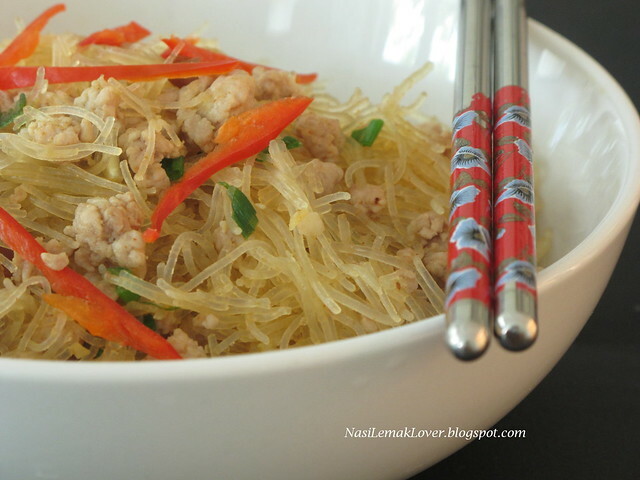 I wanted to try out this famous Chinese dish long time till I saw this recipe in a TV cooking show recently. I immediately try out as I'm curious how it would tasted. 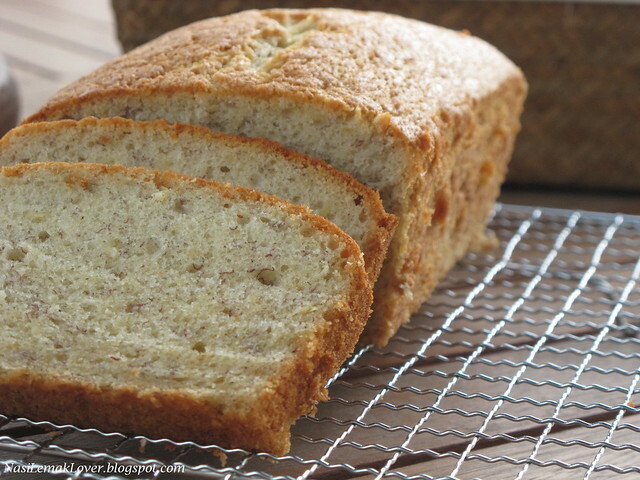 This is a very spongy, light and fluffy banana cake which is much lighter than butter cake. 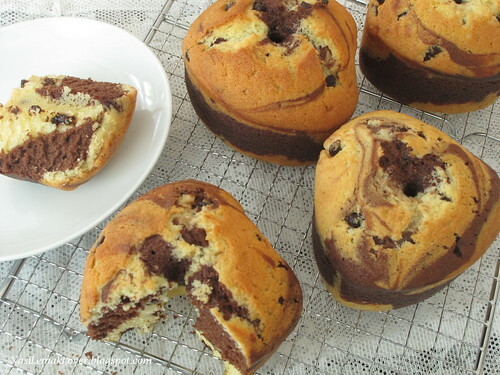 Furthermore this recipe don't need egg separation, just using simple sponge cake method. 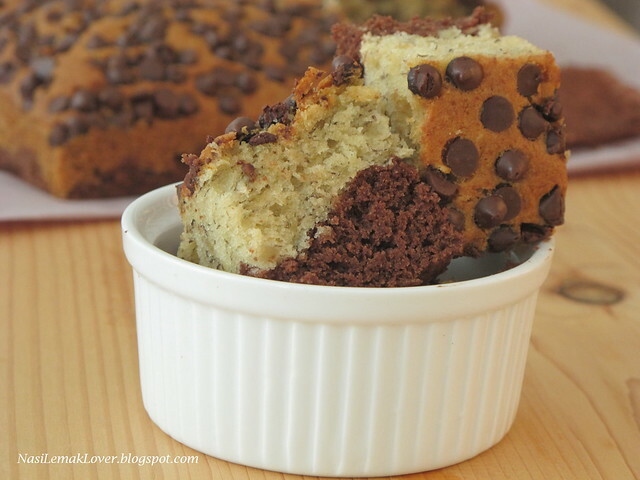 This is a recipe that I going to make again and again. 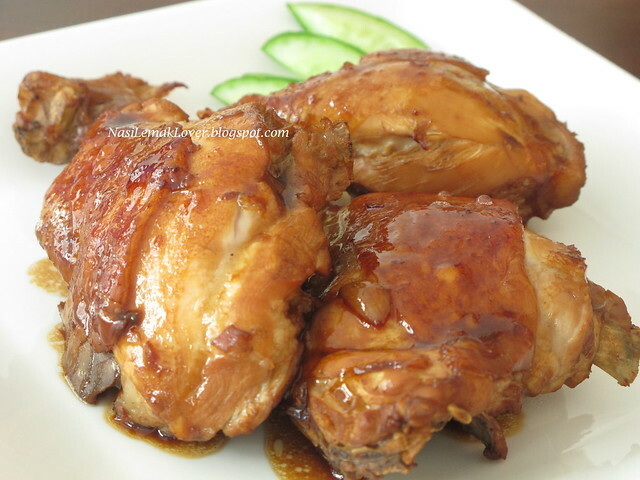 I prepared this Chicken Adobo dish (a famous Filipino recipe)for my kids last weekend when my hubby and I got invited to a dinner by our previous boss who we did not see him for almost 10 years. This was my 1st time cooked a Filipino dish, and this dish was inspired by a blogger who I just recently discovered, Nami (Just One Cookbook). 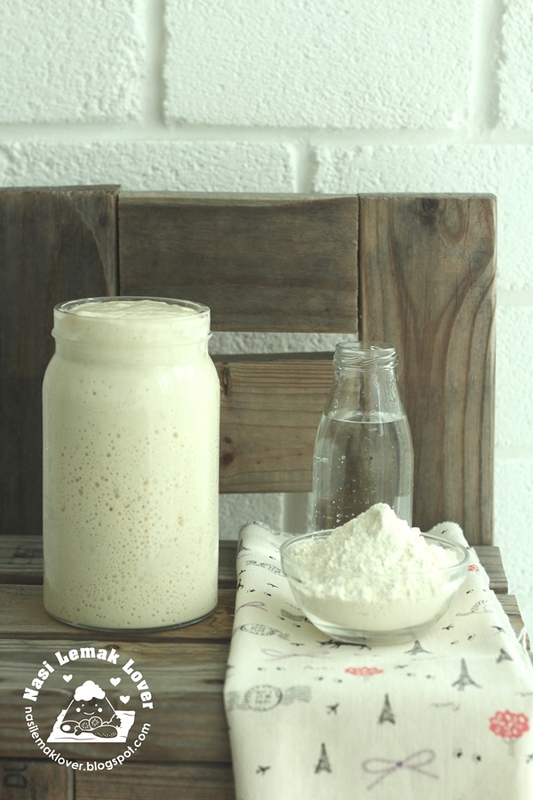 I love her blog which she share quick and easy Japanese Home cooking recipes and also love her step-by-step directions (this is definitely not an easy task for a blogger). 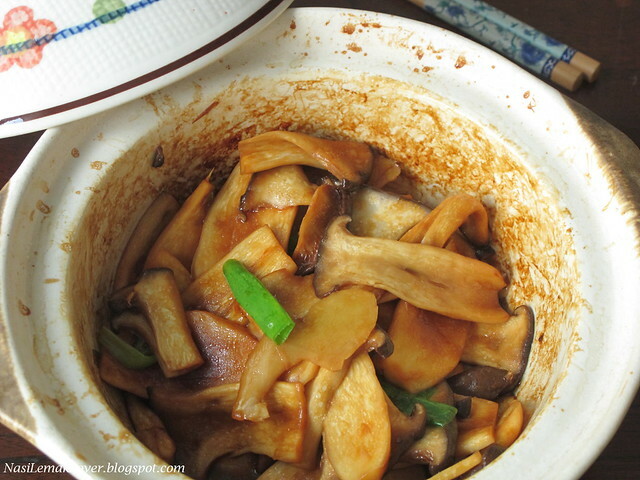 I love this simple stir fry Eryngii mushroom dish after i had it in a Bah Kut Teh restaurant. It taste like eating abalone slice, crunchy and flavourful.